Katja is a Norwegian anthropologist. When she was a master student at the Arhus University in Denmark, she visited Konohana Family for her master’s thesis research from early autumn to the end of the year in 2012 for three and half months with her 3.5- year-old daughter. She faced different matters and values every day, but yet she was always open and objective to grasp those, and she proceeded her research by simply asking questions if she did not understand. 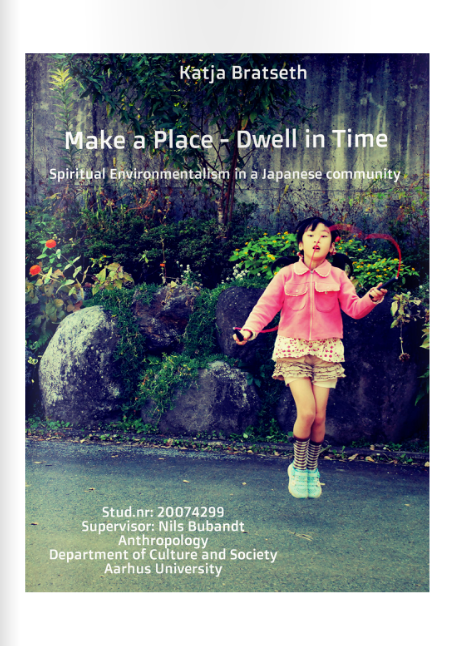 This thesis, “Make a Place – Dwell in Time ~ Spiritual Environmentalism in a Japanese~” is the result of that study. She was asked to exhibit her study at the Moesgard Museum in Denmark from October 2014 to March 2015.